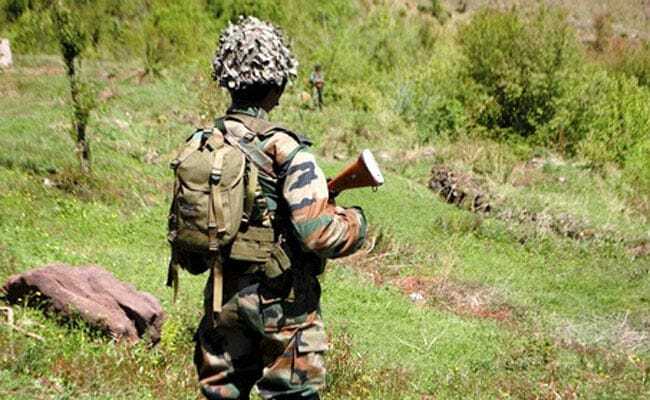 Jammu: After a two-day lull in cross-border firing and shelling, Pakistani troops targeted Indian border outposts and villages along the international border in Jammu and Samba districts today, injuring three civilians, a senior Border Security Force or BSF officer said. "Pakistan Rangers started unprovoked firing and later shelling in Arnia Sector, targeting BSF posts. The firing continued till this morning," the officer said, adding that Indian troops retaliated effectively. At 3:50 am, Pakistani troops heavily shelled Jerdha hamlet in Ramgarh sector of Samba district, the officer said. Arnia Khurd, Pindi, Kathar, Jabowal and Kol Khurd in Arnia sector also saw shelling by Pakistani forces. Three people -- Kishori Lal, 40, and his wife Pummi Devi, 35, of Kathar and Gurdev Singh, 20, of Kol Khurd - were injured in the shelling, a police officer said. Kishori Lal and his wife have been admitted to Ramgargh Hospital, while Gurdev Singh was taken to GMC Hospital in Jammu. Several houses were damaged and over a dozen cattle were killed in the firing, the police officer said. There had been continuous firing and shelling by Pakistani troops along the international border and the Line of Control or LoC between September 13 and September 18. A BSF jawan and a civilian were killed and 12 others injured in the shelling and firing by Pakistani troops in Jammu and Poonch districts during the period. On the intervening night of September 17 and 18, Pakistan Rangers opened unprovoked firing in Arnia sector and later resorted to mortar shelling. The night before, several border outposts and villages in Arnia sector were targeted by Pakistani troops. Mortar shells reached Arnia town and about a dozen shells exploded in Arnia bus stand, killing a woman and injuring several others. On September 16, Pakistani troops targeted Indian border outposts and hamlets along the international border in Jammu district. One temple, two houses and three cowsheds were damaged in the Pakistani firing in Sai, Treva and Jabowl villages. Three livestock were killed in the overnight shelling. BSF jawan Bijender Bahadur was killed and a villager injured on September 15 when Pakistan troops resorted to firing and shelling along the international in Arnia sector.